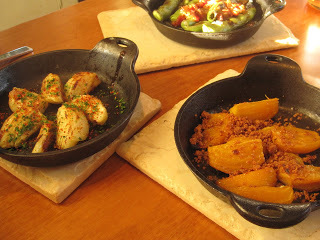 The food, self-described by Chef Ari Weiswasser as ‘refined rustic’, is just that. 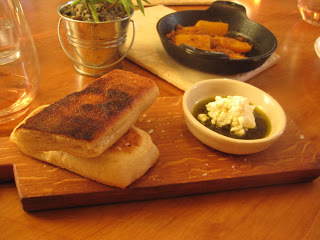 The cast iron quick bread with an island of local feta in zaatar spiced olive oil is testament to his description and an excellent indicator of the wonderful feast to follow. Paired with the warm greeting we were met with by the lovely Erinn Benziger-Weiswasser, it was clear we were in the friendly and proficient hands of skilled service. Next out of the wood-fired oven, rolled chili spiked, meyer lemon olive oil drizzled, fennel pollen crusted fennel wedges and blood orange oil, harissa crumble topped golden beets. Yum. I’m a sucker for fava beans, especially when someone else is doing the prep work. 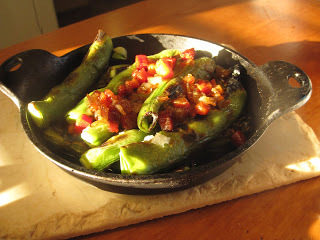 This labor minimizing rendition of whole roasted pods in a chunky bacon marmalade is scrumptious and highlights the fava’s very best attributes. In my opinion, there’s nothing like a pizza crust from a wood oven. 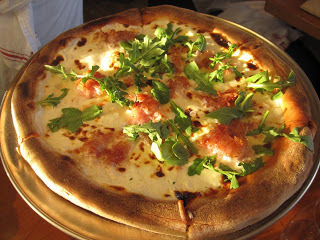 And this was one skillfully baked pie — white with guanciale & arugula. 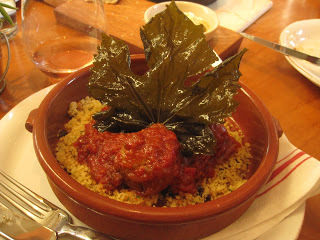 Apart from the gorgeous presentation of these wood oven roasted lamb meatballs in a ridiculously tasty tomato soffrito, they are the makings of an addiction. 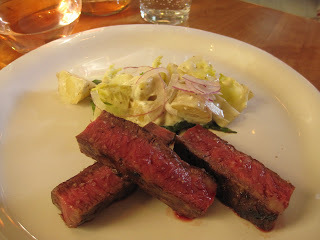 The wonderfully tender and flavorful grilled flat iron steak came with a lovely fresh, crisp salad of escarole, fingerlings and roquefort. It’s definitely on the more refined side and you will hear no complaints from me about that. 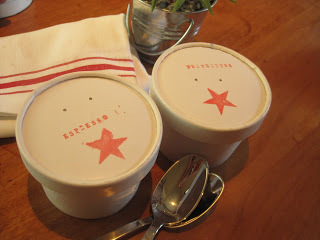 Dessert is simple, straightforward and delightful: house made ice cream and sorbet, served in little half-pint containers. For me, it conjured a bit of nostalgia of eating ice cream with a little wooden spoon — though the ice cream of my childhood was definitely not of this caliber. 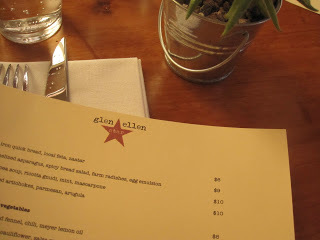 For now, Glen Ellen Star is open for dinner 7 nights, with lunch Friday-Sunday to come this summer. Personally, I’m calling today to make my next reservation. I highly recommend you do the same while you can still get a table.